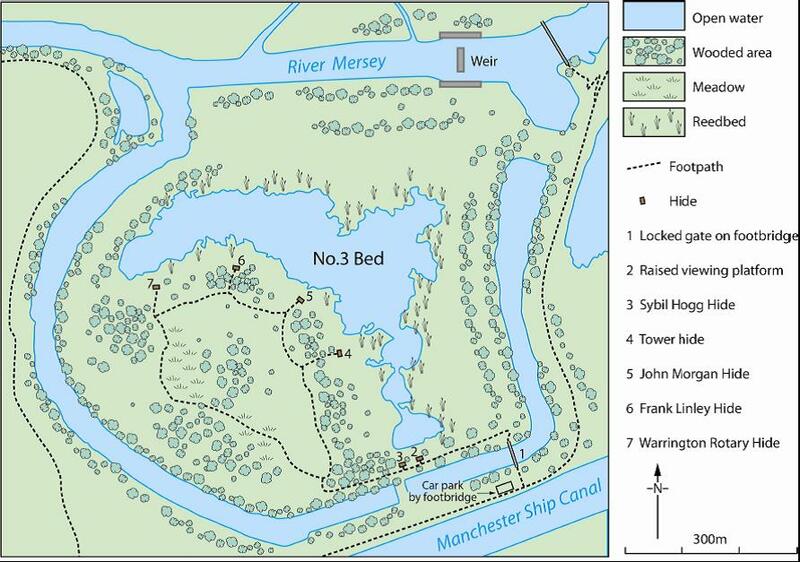 The four beds at Woolston Deposit Grounds SSSI, are managed as a nature reserve by the Woolston Eyes Conservation Group in agreement with the Manchester Ship Canal Company. 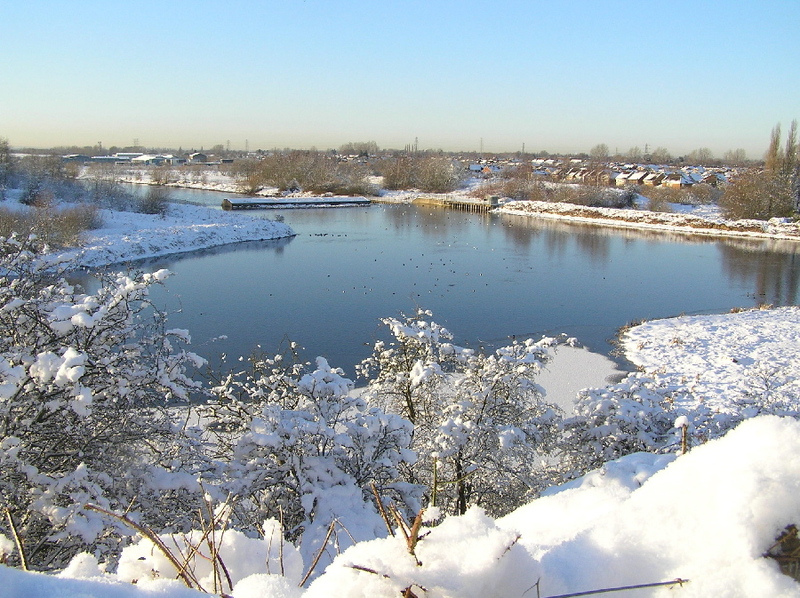 Parts of the site are still in use to accommodate dredging from the Manchester Ship Canal. 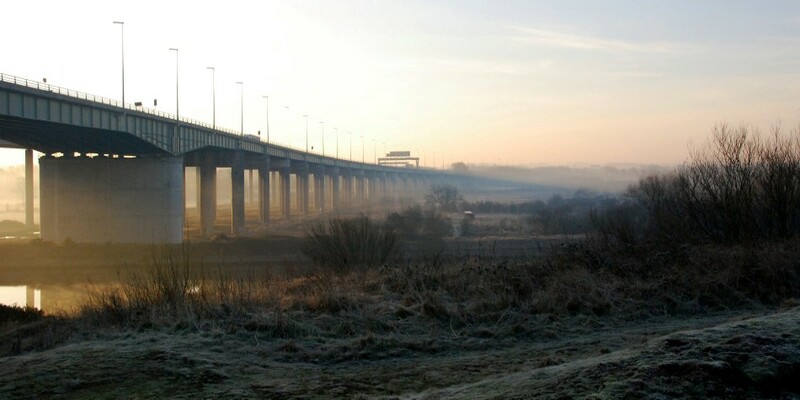 No.1 bed which is to the east of the motorway (the Thelwall Viaduct) consists primarily of rough grassland and willow scrub. 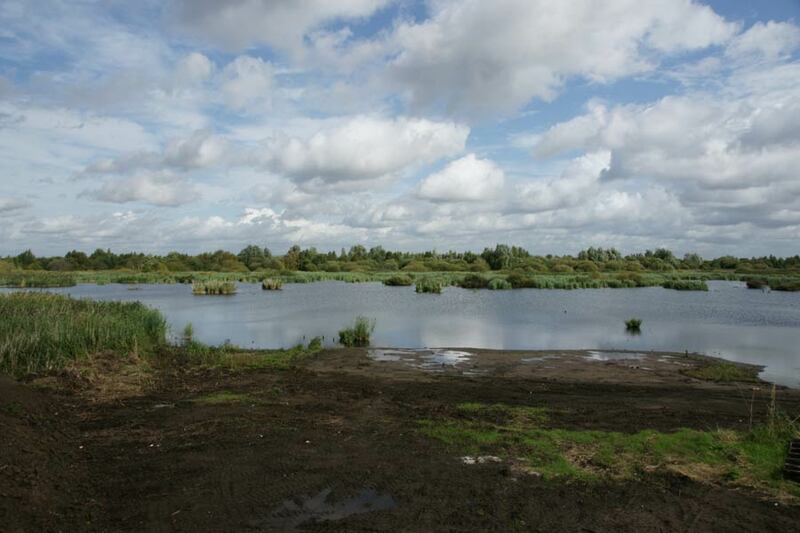 Sand extraction has created a number of reedy pools which attract small numbers of Snipe and wild fowl. They are also a regular site for wintering Water Pipits. No.2 bed is currently being used for pumping dredgings from the canal and is consequently attractive to large numbers of wildfowl. During late summer and early autumn, when water levels are at their lowest, muddy margins can appear which provide loafing areas for wildfowl, gulls and a few waders. Water Rails and the odd Spotted Crake are most easily visible at this time. Most of the water lies on the west side but during pumping the centre and east of the bed, which are predominantly willow scrub and Reed Canary Grass, can also become flooded. No.3 bed lies to the north of a meander of the river. 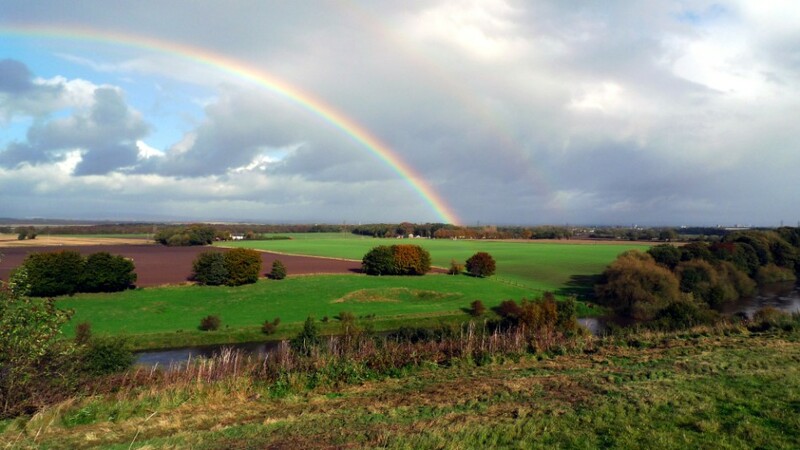 It has recently been made into an island by the diversion of the river along its north bank. This east side of the bed is shallowly flooded and contains extensive beds of typha and some phragmites. The western half of the bed is covered in dense vegetation, mainly grasses, nettles, thistle and willow scrub. An attempt is being made to introduce flower meadows into this area, to increase the habitat diversity, though it will be a year or two before the benefits are seen. 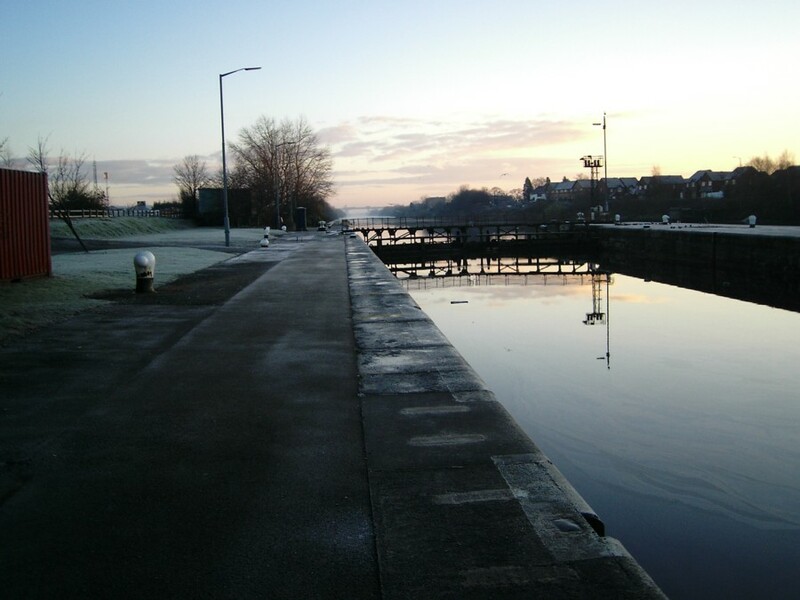 No.4 bed, to the west of the reserve, also lies between the river and the canal. The dredgings which were pumped onto the bed have now dried out and the silt is being excavated and sold as top dressing. The undisturbed areas of the bed are developing a dense cover of willow scrub, nettle and other rank vegetation. All the beds are enclosed within steep embankments with rough grassland and scrub. In places taller poplars and willow grow alongside the river whose banks are covered in parts by hawthorn, elder, bramble. These banks are bird-rich at most times of year with late summer warbler flocks and early winter thrush flocks being particularly notable. The river and canal both seem to be benefiting from the slow improvement in water quality. In winter substantial flocks of diving duck, including Tufted Ducks, Pochards, Goldeneyes, Goosanders and the odd Scaup or Smew can reliably be found on the river where it encircles No.3 bed. 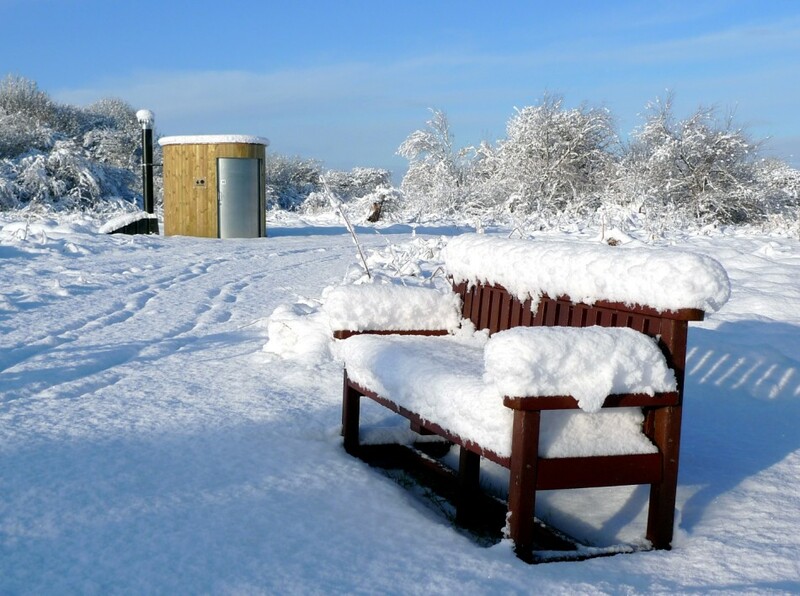 The rubbish tips at both ends of the reserve have now closed and been capped, with both being attractive to winter feeding finches and pipits. 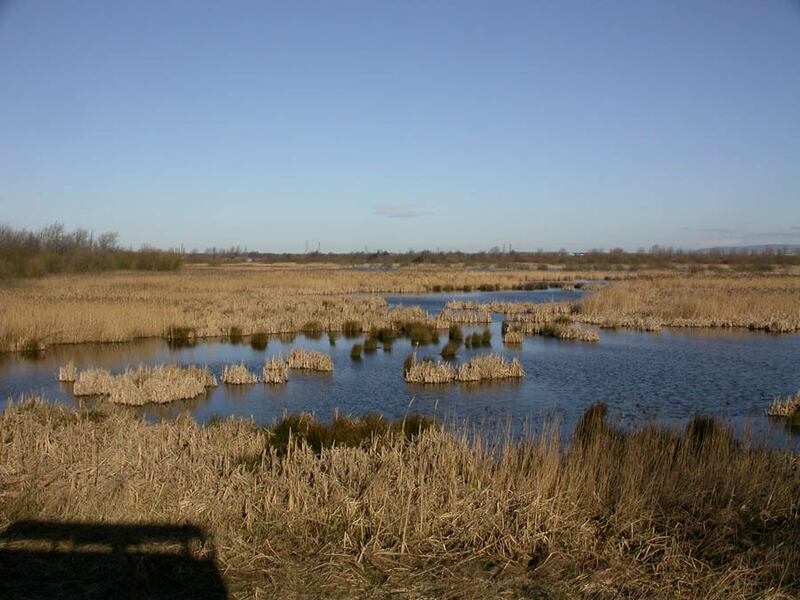 The water margins of No.3 bed are an excellent nesting habitat for Black-necked, Great Crested and Little Grebes plus Teal, Shoveller, Mallard, Pochard, Gadwall, Tufted and historically Ruddy Ducks. Pintail and Garganey are also suspected of breeding in some years. 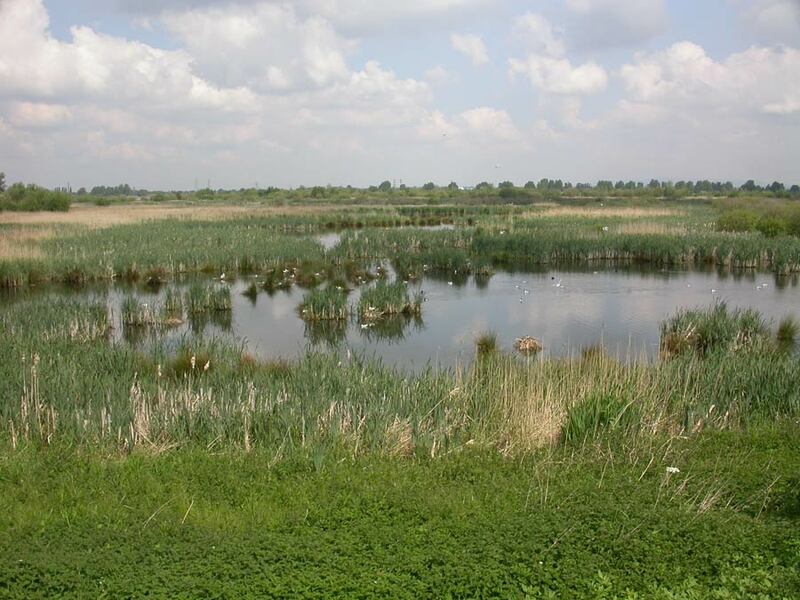 A similar range of species can also be found breeding on No.2 bed, dependant on water levels. A substantial Black-headed Gull colony dominates the water margins in No.3 bed and can spill over onto No.2 bed when conditions are right. The Eyes is particularly important, in a county context, for its breeding populations of common warblers. Counts of singing males have totalled more than 200 singing Sedge Warblers, 150 Whitethroats, 100 Willow Warblers, 30 Blackcaps and a similar number of Reed Warblers, plus a dozen Grasshopper Warblers and small numbers of Chiffchaffs, Lesser Whitethroats and Garden Warblers.In the damper areas upto 100 Reed Bunting are present in summer. Large aggregations of aerial feeders may be present from May to September, with many hundreds of Swifts joining the swirling flocks of hirundines feeding over the insect rich lagoons. 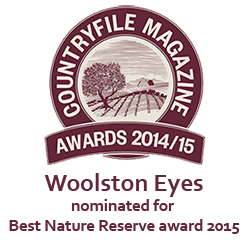 In most years there is a sizeable Swallow roost, regularly up to 3,000 birds but sometimes reaching 10,000. Inevitably, a Hobby is often in attendance and provides some spectacular aerial performances. From October to early winter thousands of Redwing and other thrushes arrive to feed on the berry-rich hawthorns around the banks of the beds. In winter roosts dwindle as food supplies diminish, although Magpies seldom seen to go hungry and over 200 continue to roost in the scrub. Finches, notably Linnets, Goldfinches and Chaffinches flock to feed on weed seeds on the drier parts of the muddy beds, with odd Siskins and Bramblings regularly located amongst them . A sprinkling of Chiffchaff remains in willow scrub during most winters and Firecrests have occasionally wintered alongside the more numerous Goldcrests. Wader passage is much smaller than formerly due to changes in the pumping regime into the beds. Spring passage is typically light, although Common Sandpiper are seen regularly in late April and early May, and on one occasion stayed to breed. Little Ringed Plover appear annually and usually attempt to breed. The inland spread of Ringed Plover has resulted in this species also breeding. Autumn passage is much more reliable and although not as prolific as in the past, Snipe, Jack Snipe and Lapwing are reliably present, with the occasional Green Sandpiper, Dunlins, Greenshanks etc. for company. As far as rare or scarce birds are concerned, Woolston remains a much under-watched site, offering much opportunity for the discovery of that ever-elusive rarity. Nevertheless, almost two decades of observation by a small number of enthusiasts, spread over Woolstons huge acreage, has produced some good birds, including: Storm and Leachs Petrels, Spoonbill, Bittern, Night and Purple Herons, Ring-necked and Ferruginous Ducks, Quail, Honey and Rough-legged Buzzards, Red Kite, Montagues Harrier, Temmincks Stint, White-rumped, Pectoral and Buff-breasted Sandpipers, Red-necked and Wilson`s Phalaropes, Avocet, Great and Arctic Skuas, Laughing, Mediterranean and Ring-billed Gulls, Whiskered and White-winged Black Terns, Bee-eater, Nightjar, Golden Oriole, Bluethroat, Great Grey Shrike, Marsh Warbler, Firecrest and Nutcracker. Over 110,000 birds have been ringed at Woolston since ringing first started here in 1980. A small team now operates on all four beds, usually from April to October each year, ringing around 4,000 birds per year. During more recent years, Woolston has taken part in an international ringing programme, aimed at studying those migratory species which winter in Africa. During the summer and early autumn large numbers of common warblers are ringed, with full biometrics taken, as part of that research programme. In the latter part of the year the focus is on tape-luring overflying finches and buntings. At any time there is the constant chance of the odd surprise, with Marsh Warbler, Bluethroat and Firecrest among the scarcer species ringed. Ringing is a physically demanding and time consuming occupation but one which brings many rewards in terms of our knowledge of national and local bird populations. If you are interested in observing, or taking a more active part in the ringing programme, then please contact Dave Riley or Prof. David Norman through the website email facility via the ‘Contact’ tab.